Tommy Lasorda is an American icon. An inductee into the Baseball Hall of Fame, a Los Angeles Dodgers mainstay for nearly 70 seasons, a motivational speaker to organizations around the world, and manager of the 2000 U.S. national baseball team – the only U.S. baseball team to win Olympic gold. Tommy’s leadership rules were always simple and straightforward. Love what you do and instill pride in those you lead. Appreciate what your team and your organization do for you. Be clear and honest in your communications. Put the team before the individual. And motivate your players to make sure they want it more than the other team – even if the other team had more talent. The Lasorda management philosophy applies across disciplines. As Tommy says, there’s not much difference between running a baseball club and a company – or any other enterprise for that matter. 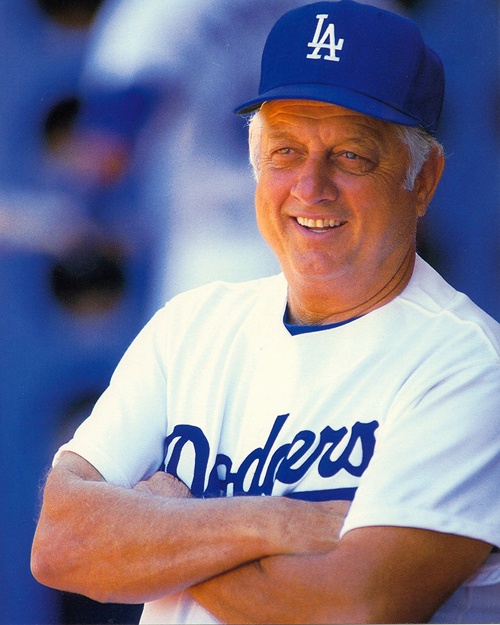 Established by Warren Lichtenstein and the Milken Institute, the Lasorda Award recognizes individuals who embody Tommy’s legacy of leadership. We’ll unveil the inaugural Lasorda Award winner at the 2018 Global Gourmet Games.